One Stop Asphalt has been providing clients with the best asphalt Phoenix has to offer for more than 15 years. We offer a wide array of top of the line products and services, so we’re guaranteed to be your best bet for any job you have in mind. 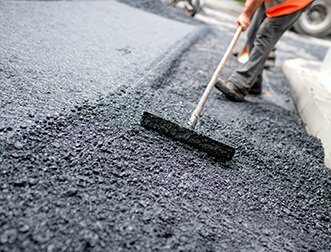 It’s our mission to make flawless paving and asphalt services available to everyone, so you can count on us to provide the lowest price possible. Our reputation is everything to us, so we go the extra mile on every single project to make sure our clients are happy. We own and operate One Stop Asphalt as a family, and that’s reflected in the way we treat our employees and clients. We cherish your business, so we do everything we can to earn it again and again. That’s why we treat every job as a unique project and customize our services to suit your needs and save you money. 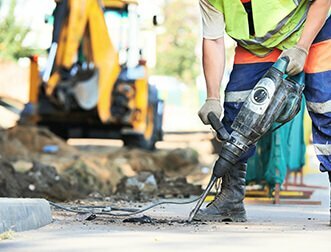 Crack Filling – Untreated cracks allow moisture into a paved area, which will make the health of your asphalt deteriorate prematurely. We use hot sealant to patch up the cracks and keep moisture out. 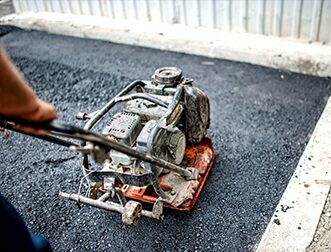 We use flexible sealants that move with the pavement, so if you catch your cracks early enough, we can add years to the life of your asphalt. Seal Coating – Our clients love seal coating because it makes their pavement look great and gives it a better performance traction. They also love that seal coating can make their asphalt last twice as long! Overlay – If your existing pavement is still in good condition but starting to lose its luster, an overlay may be the best solution. It doesn’t require us to remove the old asphalt. We simply put a new layer over the top to refresh the performance and make it look brand new. This is much less expensive than replacing the existing payment, so call us while you still can. Asphalt Paving – Using asphalt to pave your surface is a sure way to create a long-lasting solution. Asphalt is waterproof and cost effective, so you save money now and later. Ask us about which grade of asphalt is best for you. Grading and Striping – Grading and striping are the base and the finishing touch for your asphalt respectively. Grading is the foundation on which we apply the asphalt. The better it is, the more sturdy and durable your asphalt will be. Striping the finished asphalt with traffic paint helps define spaces and direct traffic. Removal and Replacement – Sometimes pavement is too far gone to be safely saved. In this case, we can remove it for you before starting fresh with brand new asphalt. Fiber Reinforced Asphalt – Asphalt has been around for many centuries, but fiber reinforced asphalt changed the game. This technologically enhanced asphalt performs better in the elements and lasts longer. We’re located in Phoenix and primarily service the Valley of the Sun. We’ll beat anyone’s price, so call us today! Happiness of our clients is our main priority. If you have any questions, contact our customer support and we will reach the consensus. We work to make you feel comfortable and enjoy qualitative asphalt relating services. Our goal is to ensure you are absolutely aware of the services you are about to receive, have solved your issues and had your concerns addressed before everything begins. Your success – that is our mission.